The look of the Liberty 1-1/2 in. Venetian Bronze Ringed Knob is both ageless and contemporary. The bronze finish is hand-applied and adds a look of tasteful antiquity to your cabinetry. Uses 8-32 x 1 in. machine screws. 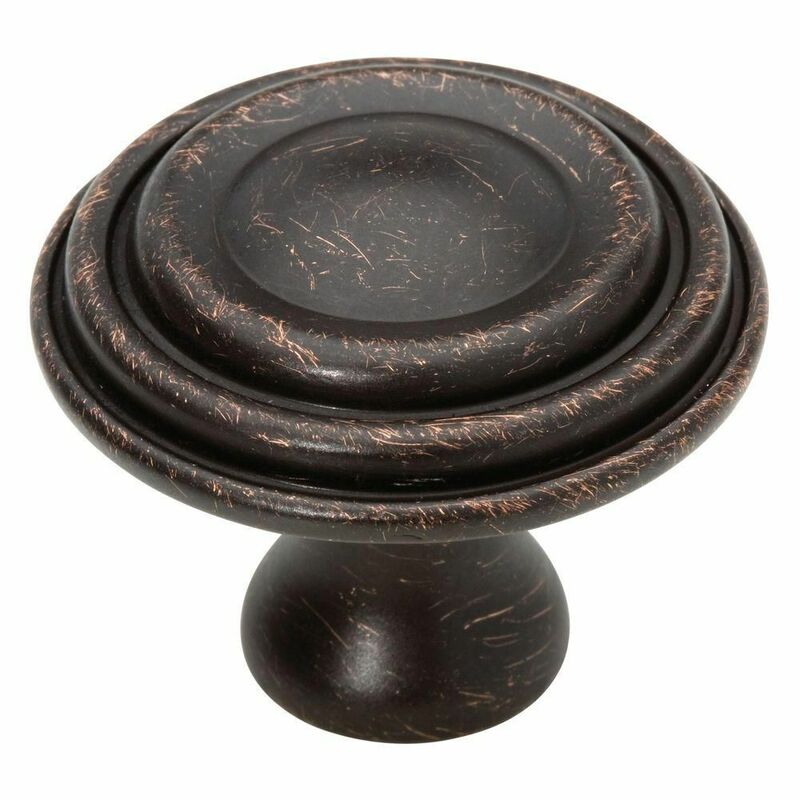 The Amerock BP55273ORB Blackrock 1-1/2in(38mm) LGTH Knob is finished in Oil-Rubbed Bronze. The BlackRock collection offers sleek simplicity with a contemporary indulgence. This eclectic line boasts bold shapes and sizes. The Oil-Rubbed Bronze finish is a rich, dark brown old world finish with striking light and dark accents. 1-1/2 Ringed Knob, 1 per pkg The look of the Liberty 1-1/2 in. Venetian Bronze Ringed Knob is both ageless and contemporary. The bronze finish is hand-applied and adds a look of tasteful antiquity to your cabinetry. Uses 8-32 x 1 in. machine screws. 1-1/2 Ringed Knob, 1 per pkg is rated 5.0 out of 5 by 8. Rated 5 out of 5 by Rose from Easy to install, and it looks great. Will add value to any cabinets. Easy to install, and it looks great. Will add value to any cabinets. Rated 5 out of 5 by KC from These are perfect for my kitchen. Will come back to... These are perfect for my kitchen. Will come back to reorder for bathroom. Quality pieces. No imperfections. Rated 5 out of 5 by dukeANhammer from Sturdy knobs These heavy duty knobs replaced wooden knobs on an entertainment armoire. These knobs come with different size bolts depending on your needs. They stand out against weathered black oak. Rated 5 out of 5 by Dawn from Perfect size. Love the distressed detail. ... Perfect size. Love the distressed detail. Rated 5 out of 5 by PinnieLola from These are beautiful and a nice size and weight. These are beautiful and a nice size and weight.